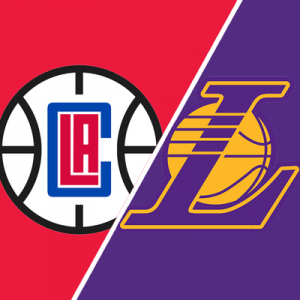 Join the UC Irvine Staff Assembly to watch the LA Clippers vs. LA Lakers on January 31, 2019! When you purchase, you’ll receive your very own referral link to share with your friends, family, and coworkers. Anyone who buys from your link will automatically be seated with you. All fans will receive their tickets via email, 24 hours before the event. To purchase your tickets, go here. ALSO: ANTHEM BUDDIES FOR THE LA CLIPPERS! Your child may have a chance to join the Clippers or visiting team on-court as the National Anthem is performed prior to tipoff! To enter, please send the age(s) and name(s) of the child(ren) who will be attending the game to Nancy Herrera by January 17. Children must be between the ages of 7-12. Finalists will be randomly selected and notified prior to the game.